Today Bitcoin is the most famous crypto with the biggest market share. But there’s actually an expansive universe of different types of cryptocurrencies. Investors take many different approaches when investing in cryptocurrencies. While some invest in specific projects that they feel will succeed, others invest in categories. For instance, even if one doesn’t believe in the long-term prospects of Ethereum, they can still be bullish on the overall category of decentralized “platforms” for building blockchain-based applications. In new technologies such as blockchain, taking a “category” approach to investing allows one to spread their exposure to several projects. Categories in crypto are not set in stone because it’s always possible to subcategorize cryptocurrency projects. There are too many semantic and technical details that differentiate cryptos; the primary purpose of this article is to introduce the overall concept of categorizing cryptocurrency investments. We’ll go into a variety of ways you can group investments and the underlying rationale behind some of the categories that have been defined by the crypto community. Gen 1: Many investors refer to Bitcoin as a first generation blockchain. Compared to later cryptocurrency projects there are not many “additional-features” on top of Bitcoin. First generation cryptocurrencies were the first foray into cryptographic ledgers and blockchain technology. The killer-app for many first generation cryptocurrencies are cryptographically secure digital assets. Below are some other important factors that many people use to consider what generation a specific cryptocurrency is in. Scalability: How many transaction per second the network can handle? Widespread adoption will lead to cryptocurrency being spent every second around the world in a large volume of transactions. Interoperability: Can this cryptocurrency operate with current fiat financial systems and possibly exchange data with current or legacy blockchains? Sustainability: What are the net amounts of energy and resources that go into sustaining a specific blockchain? A tremendous amount of energy goes into PoW mining, in a decade will there still be financial incentive to support this network with the hashing power it needs to operate? Governance: Is there a fair process in place for the community or foundation to make decisions on behalf of the project? Is there a system of checks and balances between the users and the core development team? Gen 2 cryptocurrencies are often described as “Bitcoin-with-a-feature”. In other words, Gen 2 cryptos expanded the functionality of Bitcoin into: privacy, smart-contracts, and other capabilities beyond just being “digital currency”. For instance Dash is a fork of Bitcoin with the additional optional feature of “privacy”. Ethereum introduced the concept of smart contracts and it’s own unique blockchain that developers could create dApps on. However many also offer quantifiable improvements to the 4 “main-stats” (Scalability, Interoperability, Sustainability, Governance). Gen 3 blockchain features are is still being debated today. However the logical extension is that they should add additional dimensions in performance as well as capabilities. Many state that the additional dimensions can be expressed with the ability of gen 3 blockchains to offer computing and storage services. This will allow gen 3 blockchains to help create truly decentralized autonomous organizations. Many also argue that gen 3 blockchains may have side-chains or other capabilities made possible with secondary or tertiary layers off their central chain. In essence gen 3 blockchains should be performant and scalable enough to to pose a viable threat to fiat currencies. Platforms are blockchains that third parties can develop functional software applications on. Some examples of platforms are: Ethereum, Neo, Cardano, and Stellar Lumens. Platforms are blockchains that are often used to build contract based applications. Ethereum is perhaps the best known platform and the many applications built on Ethereum are the best illustration we have of the different applications that can be built on Blockchain. Below are some applications that were built on the Ethereum blockchain. Golem is an ERC-20 token dedicated to distributed computing. Augur is a decentralized oracle and forecasting tool. Binance Token, Kucoin Shares, etc… are exchange tokens dedicated to being the native currencies for the platforms they represent. Certain exchange tokens offer additional benefits like paying their holders dividends. Nebulas is blockchain based operating system and search engine. FunFair is a decentralized gaming technology platform that provides blockchain based solutions for casinos. The answer lies in the fact that there are inflationary and deflationary systems encoded into stable coins. One example is of this is Basis. There are inflationary and deflationary periods that react to market demand of Basis. Issuing “bonds” is the economic system used to regulate the price and value of Basis during inflationary and deflationary periods. During inflationary periods the total number of Basis needs to be regulated. Basis does this by auctioning “bonds”. Coins that are used to pay for bonds are “destroyed” or locked in wallets that cannot be opened. During deflationary periods where the total supply of coins needs to be increased, freshly minted basis are offered to bond holders. Other than the coins listed above there are still many more categories. Privacy coins are designed for discreet transactions that are not traceable or censorable. Storage coins are dedicated to encode and store data on their chains. We’re still in the early stages of cryptocurrency, and economically still make sense for one to have “multiple horses in the race”. Many category investors bet on all projects that have a legitimate shot at being the project that takes off in a particular category. The core team behind Hilo.io has thorough experience in cryptocurrency trading. Hilo was designed for community based discussion around cryptocurrency investing. There may be discussion about some the categories mentioned in this article as well. 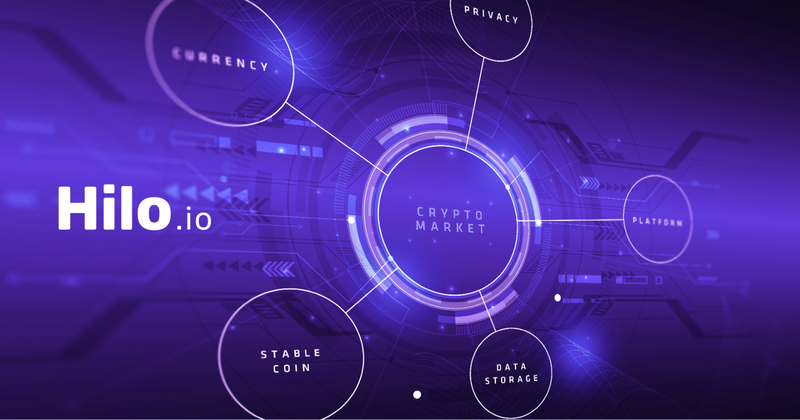 Early on, there was no single resource made for the cryptocurrency-trading community that aggregated research, quantitative facts, and qualitative data about the market and investment landscape encompassing a project. The Hilo platform aggregates sentiment-data around a project by allowing contributors to annotate pricing changes for cryptocurrency charts. Hilo is also designed to facilitate open discussion within the community. The overall goal for Hilo.io is to create a more comprehensive source of insight for investors of all skill levels, as well as to crowdsource sentiment data that the entire investment community can benefit from.